Intelligent Transportation Systems, or ITS, integrates different computing, control, and communication technologies to help monitor and manage traffic management that helps reduce congestion while saving lives, time, and money. While mobility and safety are the primary objectives of any good transportation system, security has also become an equally important consideration in their design and operation. 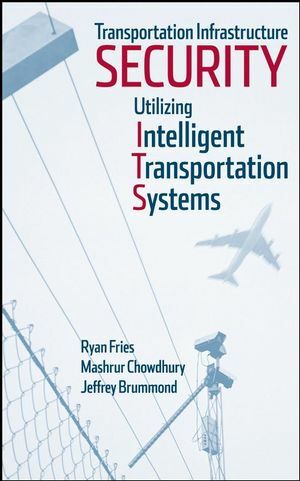 This book provides a comprehensive treatment of techniques to leverage ITS in support of security and safety for surface transportation infrastructure. Filling a gap in the practical application of security, Transportation Infrastructure Security Utilizing Intelligent Transportation Systems offers both students and transportation professionals valuable insights into the new security challenges encountered and how to manage these challenges with the use of computerized transportation systems. RYAN FRIES is an Assistant Professor in the Department of Civil Engineering at Southern Illinois University Edwardsville, Edwardsville, Illinois. MASHRUR CHOWDHURY is an Associate Professor in the Department of Civil Engineering at Clemson University, Clemson, South Carolina. JEFFREY BRUMMOND is Principal Systems Architect at Iteris. 1.3 Security in the ITS Context. 1.4 Scope and Audience of the Book. Chapter 2: Need for Surface Transportation Infrastructure Security. 2.2 Common Characteristics of Surface Transportation Systems. 2.3 Common Threats to Surface Transportation Systems. 2.3.8 Biological and Chemical Attacks. 2.4 Defending against Threats Both External and Internal. 2.5 Why Transportation Infrastructure Security Is Important. Chapter 3: Leveraging ITS to Reduce Risk and Exposure Using ITS Security Areas. 3.2 Disaster Response and Evacuation. 3.3 Freight and Commercial Vehicle Security. 3.5 ITS Wide Area Alert. Chapter 4: Risk Assessment Framework. 4.3 Application of the Framework. Chapter 5: Application of Risk Assessment and Management Tools. 5.1 Application of Risk Assessment Methods. 5.1.1 Blue Ribbon Panel Method. 5.1.3 Weibull Hazards Model Example. 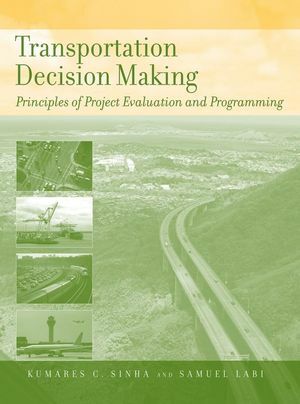 5.2 Application of Evacuation Models and Traffic Models for Response Planning. 5.3 Application of Other Methods. Chapter 6: Fundamentals of Computer Network Security for ITS. 6.2 Elements of Computer Network Security. 6.3 Importance of Computer Network Security. 6.4 Approach to Computer Network Security. 6.5 Computer Network Security in ITS. 6.6.3 Message Integrity and Nonrepudiation. 6.7 Future of Network Security and Its Impacts on Securing ITS Network. 7.6 Securing Communications between Subsystems. 7.7 Security and ITS Standards. 7.7.1 National Transportation Communications for ITS Protocol. 7.7.2 Traffic Management Data Dictionary and Message Sets. 7.7.3 Commercial Vehicle Information Systems and Networks. 7.7.5 Dedicated Short Range Communications. 7.7.7 Transit Communications Interface Profiles. 7.7.8 Advanced Traveler Information Systems. Chapter 8: ITS Security Areas and Multimodal Transportation Security. 8.2 Protecting Vehicles and Infrastructure. 8.2.3 Rail Vehicles and Infrastructure. Chapter 9: Process for Developing A Regional Transportation Security Plan. 9.2 Developing a Regional Transportation Security Architecture. 9.2.1 Security in a Regional ITS Architecture Development Process. 9.2.2 Developing a Regional Transportation Security Architecture. 9.3 Developing a Project Security Plan. Chapter 10: Issues and Opportunities for Transportation Infrastructure Security. 10.1 ITS Security versus Privacy. 10.2 Public and Private Roles. 10.3 Stakeholder Cooperation and Coordination Requirements. 10.4 Funding Sources and Constraints. 10.6 Future Directions and Opportunities. Appendix A: National ITS Architecture Subsystem Security Descriptions. Appendix B: Securing Architecture Flows. Appendix C: USDOT FHWA Final Rule. Appendix D: USDOT FTA Policy on Transit Projects. Appendix E: Weibull Distribution Support.